In March, employees of Discovery Benefits, an employee benefits administration company with offices in Fargo and Brookings, made tie blankets for Hospice of the Red River Valley patients. 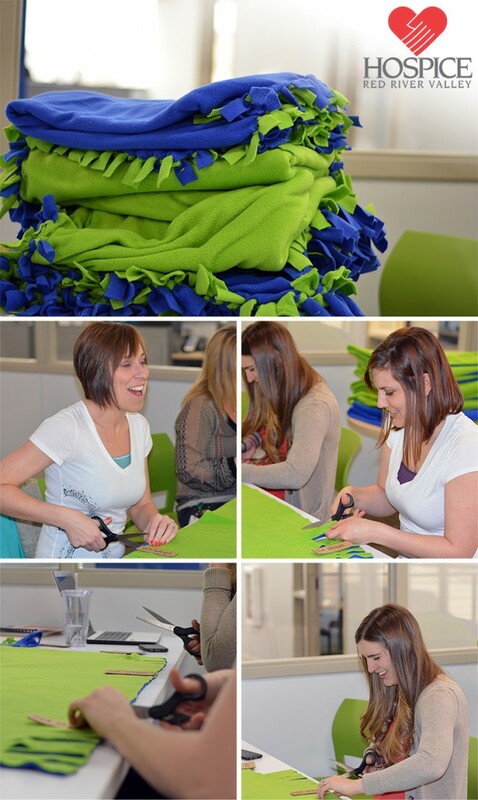 The Volunteer Committee at Discovery Benefits encouraged employees to grab some friends during break or a team meeting to create the handmade blankets. Thank you to Discovery Benefits for the wonderful donation!